Iceland Intel Xeon E3-1230v6 16GB 12 TB, #78969, EUR 299.95/mo. Plan #78969, Iceland Intel Xeon [...], € 299.95/mo. 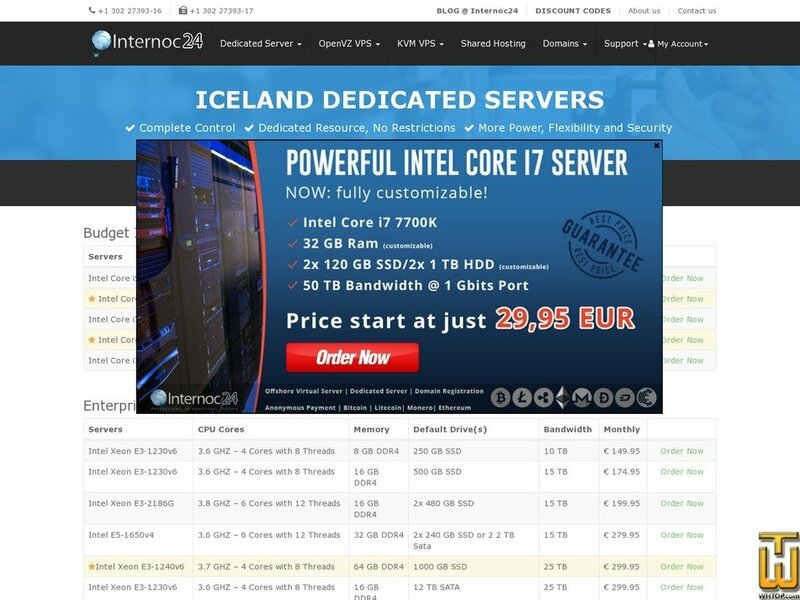 See also original Iceland Intel Xeon E3-1230v6 16GB 12 TB plan location on their website! 8. Solution for all Customer- We provide our Services over 50 Locations and have over 700 Offers and provide what our customers need! Price: € 219.00/mo. VAT exc. Price: € 599.00/mo. VAT exc.